You'll find our award-winning, lively and historic market in the heart of the town centre. 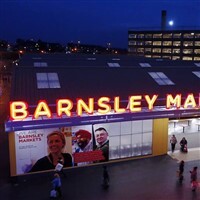 Trading since the 13th century, it's one of the largest markets in the North of England with over 100 stalls. Goldthorpe, Hoyland, Penistone and Wombwell also have their own vibrant local markets.